Seems Diet Pepsi wanted to get on the no unhealthy chemicals bandwagon and changed out their aspartame to sucralose. It's debut, however, seems to have gotten off to a rocky start as you can see here, here, here, here and well, pretty much anywhere you look. I was pretty much raised on diet soda. My mother was in perpetual diet mode and we always had Tab around the house (sparkly bottle and pink cans and all) then Diet Coke and so on. I've been an avid drinker for decades now (and no, I do not want to hear any debates about healthy/unhealthy, this is my one vice I ain't giving up). I usually vacillate between Diet Mt. Dew (again no judging! ), Coke Zero, Diet Pepsi and such. Usually, it's a what's on sale thing. Anyway, I was intrigued to try this new version to see what my taste buds did or did not enjoy about this new iteration. Sucralose is basically Splenda, a sweetner I've used regular in tea over the years. I think it works better than Sweet-n-Low, that saccharine is just a bit too much for me these days (my Tab years notwithstanding). As for this "new" Diet Pepsi, I don't hate it like those other folks, but it does taste different. To me it tastes less sweet than the previous version and for the most part I'm okay with that. Some folks have said there is a chemically aftertaste and I just sort of roll my eyes as that since all diet soda sort of has an aftertaste, it's unavoidable. The trick is to find the one you'll get used to and I think folks will get used to this after awhile. 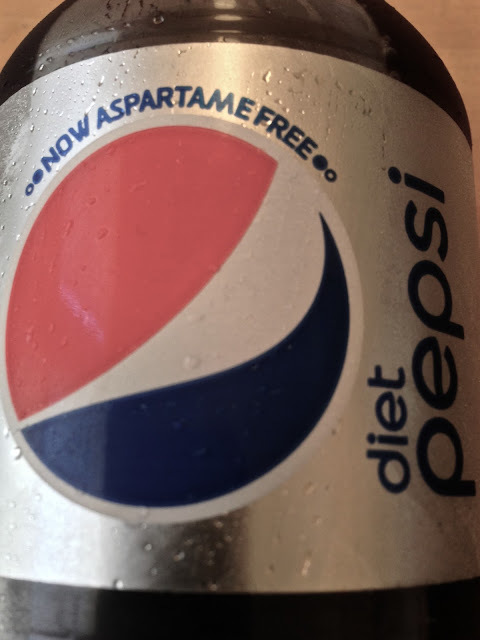 This version is closer to just cola flavored soda water as opposed to the regular version of a non-diet Pepsi, and that is kind of the issue I think for people, they want a diet version that tastes exactly like the real sugar thing and sadly, you are never going to get it. Fake sweetners will never taste just like sugar no matter how many agave plant derivatives they find. It will always be kind of off and a tad chemically. I mean come on, they were created in labs, what were you expecting? In the long run, I think this will be fine, I'm not going to rank this up there with say New Coke or Crystal Pepsi and say it's a disaster. Is it different, yes, but not so much that it tastes like a new drink altogether. I mean, when you get right down to it, it is just a glass of liquid chemicals and if that doesn't make you stop drinking it then I think you can get beyond the new sucralose addition. The Ferry Building has revealed its new vendors for their "arcade shops" in front. Could get chilly. Let's hope they are heated! Another place in SOMA for techies to get their drink on has sort of opened. The Presidio is still trying to lure dinners. Here's a look at Sessions. Tablehopper highlights a couple bar/restaurant openings of note. Slow Club in Potrero Hill is closing after 24 years. And so is Marlowe Burger, after only 4 months. They didn't quite make the year they were expecting before the building is torn down. Al's Place named best new restaurant of year by Bon Appetit magazine. Looks like $15 and up small plates are here to stay....sigh. 7x7 gets all Buzzfeed click baity with their best chocolate chip cookies and best banh mi sandwiches in San Francisco lists. Though, their lists could use a few more options. Oh look, tourists will have a new place to dine at Fisherman's Wharf. I mean why search out authentic San Francisco North Beach Italian when it's all right there in one place near seals! And finally, State Bird has some advice for Al's Place now that they are top dog in The City.